Are Maryland DUI Checkpoints Effective? Howard County police recently set up a DUI checkpoint on Maryland Route 1. The checkpoint, which was located in North Laurel, began in the late evening on Friday night and extended into the early morning hours of Saturday. Police chose the location after examining DUI arrest data and traffic accident data where alcohol was involved. Howard County police did not release the exact hours of the DUI checkpoint, or how many officers were involved in the operation, but typical DUI checkpoints last roughly 6 hours and involve at least 10 police officers. Howard County did release the statistics of how many cars were stopped and how many arrests were made. In total, the DUI checkpoint resulted in 690 vehicles being stopped, and a total of 5 people being arrested. Of the 5 arrests, two were for driving on a suspended license, and 3 arrests were for DUI. One of the suspects arrested for DUI was 18 years old, and was also charged with a separate alcohol charge of underage drinking. Howard County police reported that other drivers displayed signs of alcohol consumption, but these drivers were not arrested because they did not meet the legal criteria for impairment. Police officers distributed literature on the dangers of drinking and driving to all drivers that passed through the DUI checkpoint. DUI checkpoints are scheduled a few times per year in Howard County. Typically police will schedule a DUI checkpoint during times where alcohol consumption is higher than normal, such as during St. Patrick’s Day and on the Fourth of July. This most recent checkpoint was scheduled after the Fourth of July DUI checkpoint was called off due to rain. Other Maryland jurisdictions such as Baltimore City and Anne Arundel County schedule DUI checkpoints as well, but Howard County holds DUI checkpoints with greater regularity. DUI checkpoints require a relatively large amount of police resources, and are an inconvenience for hundreds of law abiding citizens. Not to mention, DUI checkpoints are also thought by some as a violation of our rights to be free from government intrusion, and from unlawful search and seizure. But do DUI checkpoints in Maryland actually serve a purpose? Or is the benefit of DUI checkpoints outweighed by the cost, intrusion, and annoyance they bring? In this recent Howard County DUI checkpoint, less than one half of one percent of drivers stopped were actually driving under the influence of alcohol and arrested for DUI. Hundreds of other drivers were quasi detained by police, not to mention multiple police officers were used to conduct the DUI checkpoint. If you break down the numbers, you are talking about 1 arrest every 2 hours, and at least 3 officers for every arrest. Just based on the numbers, DUI checkpoints do not seem like a cost effective method to cut down on drunk driving. Not only do the numbers from this last Howard County DUI checkpoint suggest the costs outweigh the benefits, but there is more evidence available as to the ineffectiveness of DUI checkpoints in general. A University of Maryland study in 2009 concluded that DUI checkpoints do not have an effect on the public perception of DUI or any influence on driver behavior as it relates to alcohol. The study stated that deploying a higher saturation of road patrol officers in common DUI areas is far more effective at enforcing drunk driving laws than DUI checkpoints. The FBI has also conducted studies that agree with the University of Maryland, but for now, Howard County and other Maryland jurisdictions will continue to use DUI checkpoints. Benjamin Herbst is a Maryland DUI lawyer specializing in DUI and DWI cases in Baltimore, Howard County, and throughout Maryland. Contact Benjamin at The Herbst Firm for a free consultation at 410-207-2598. 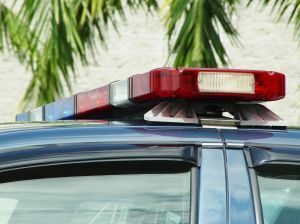 Longwell: Study: DUI checkpoints ineffective, summitdaily.com.